We’ve been talking about text connections since the beginning of the year and how connections help improve your understanding of a story. 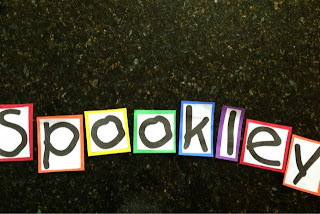 Spookley the Square Pumpkin is a great resource for teaching text-to-self connections. Our discussions focused on making connections to a time when something similar happened or when we had similar feelings as Spookley. We made time later that day for a related art project. 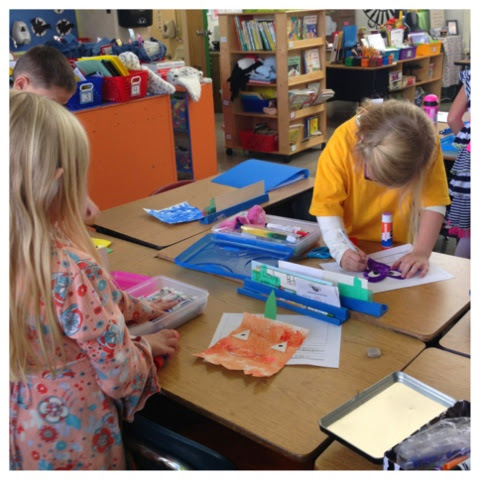 These kiddos have very creative minds and appreciate the opportunity to put their talents to work. 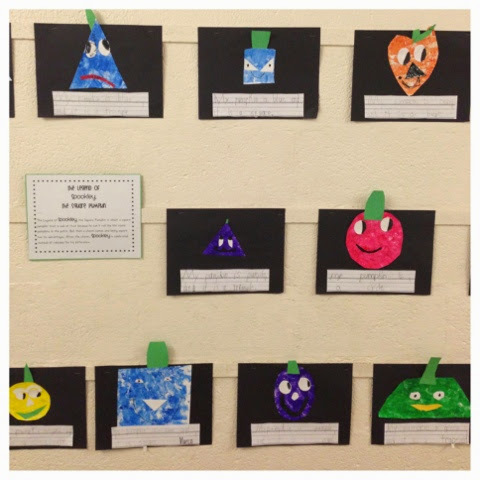 The children chose a color (six choices) and used a sponge painting technique to create the background color for their pumpkin. 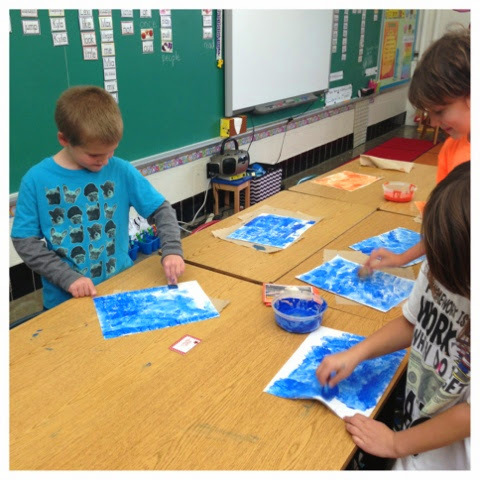 Once the paint dried, the kiddos cut out their shapes. We didn't use templates; most children were able to cut shapes with little or no help from me. They used scraps from our scrap paper box to add colorful detail. That was my favorite part of this project! I love seeing their personalities shine in their work. 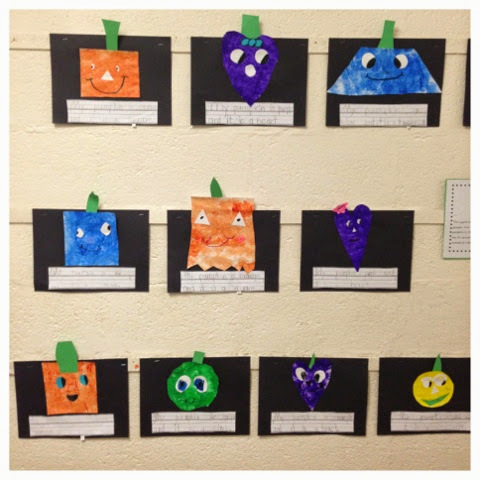 We are working on writing conventions (as we will all year - smile) so we added descriptive sentences to the Spookley inspired pumpkins. 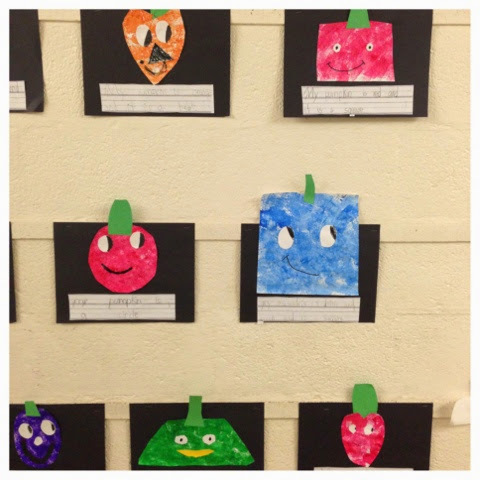 After I hung the pumpkins in the hallway, I realized the bulletin board needed a topper so I created this. I'm uploading the pdf version of the document here. 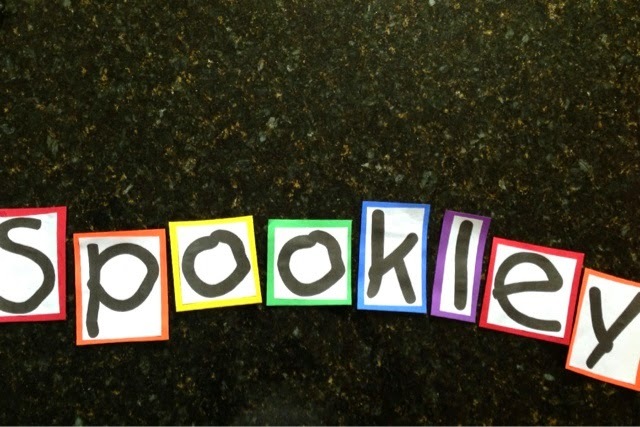 I glued the letters to colored construction paper.